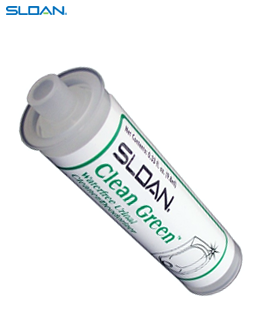 The Clean Green WaterFree Urinal Cleaner/Deodorizer provides a quick, easy cleaning solution for Sloan WaterFree Urinals. Sprayed solution may be wiped with a clean cloth or allowed to air dry. Cleaner concentrate refill provides a closed loop mixing system where the user experiences no chemical contact during bottle filling. 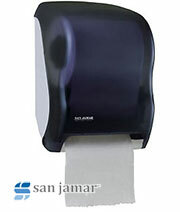 Refill size is space saving and economical. Formula is biodegradable. This includes just the Clean Green concentrate. 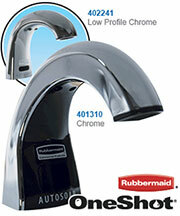 • The cartridge acts as a funnel, allowing liquid from the bowl to flow into the cartridge. • As liquid waste enters the cartridge, our sealant liquid creates a barrier between the waste and open air, thus eliminating odors. • The cartridge acts as a filter for uric sediment. Much of the sediment that can cause drainage pipe corrosion is trapped at the bottom of the cartridge. 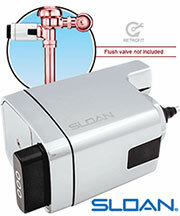 • The cartridge allows the remaining waste to be freely disposed of down the drain.